The Mayo Slat Mat is a high-grade high-density closed cell foam formulation (Mayo formulation EVA) ensuring its super strength & stability. The Slat Mat maintains a good degree of softness & excellent thermal values – much greater than ordinary rubber. Finish cattle up to 6 weeks faster – significant saving in feed etc. The Mayo Slat Mat is completely custom fit. The voids in the mats are cut on site so they fit perfectly over the slats. Cut scientifically to keep the mats strong and avoid them breaking down. 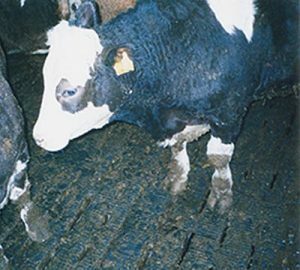 The cow’s welfare and confidence are greatly improved on the Mayo Slat Mat. 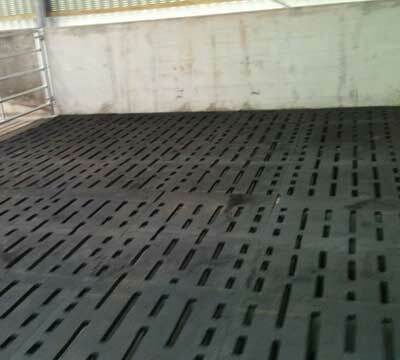 The dense closed cell foam eradicates the impact hash hard cold concrete has on the animal and provides permanent traction & comfort as it can never harden like rubber. 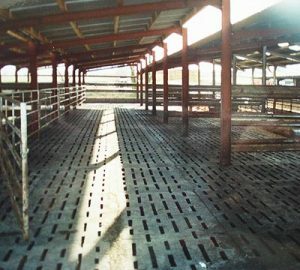 The Mayo Cow Comfort Slat Mat will aid cleanliness in the environment as the material is 100% non-absorbent so cannot harbour any bacteria. 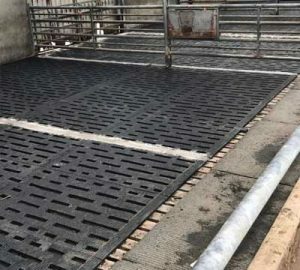 As the mats are custom cut on site, they perfectly fit over the slats so any waste will be deposited through the slats into the tank as required. The thermal value of the mats is dramatically increased in comparison to those of rubber. This means the cattle thrive better on it. Also, because it is not prone to degrading by perishing it will significantly outlast rubber. Mayo Slat Mats are generally held in place with a special bracket which drops into the slat slot & tightens down into the surface. 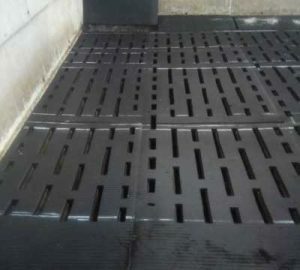 They are fitted with sporadic concrete fillets which guides any expansion of the mats forward. There may be some maintenance in terms of trimming the mats dependent on usage before they are fully settled into position. Q: How do they compare to rubber slat mats?A: They will outperform them in every way. 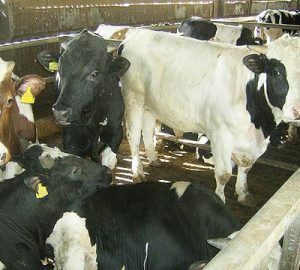 The thermal value of EVA is much higher than rubber therefore the cattle thrive better on it & because it is not prone to degradation by “perishing” it will significantly outlast rubber.